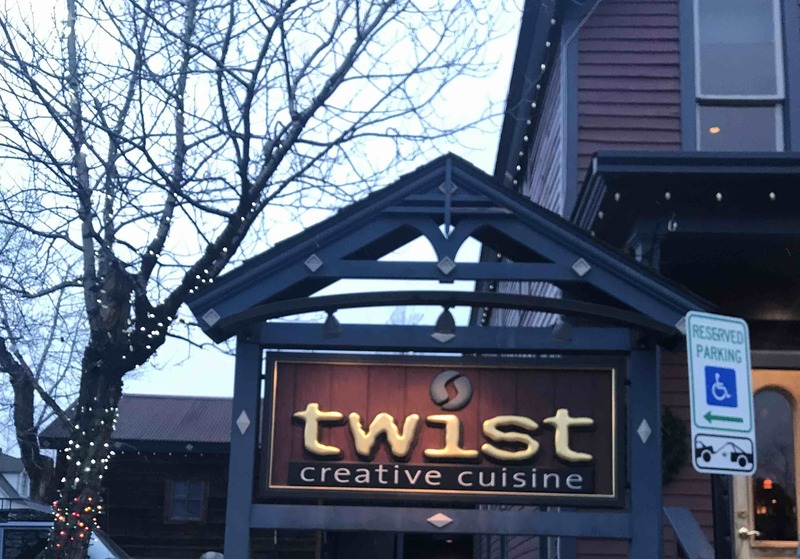 Chef Matthew Fackler is putting his own spin on classic comfort food here at twist. Chef Fackler has teamed up with GM TJ Messerschmitt to bring an exciting, fresh take on classic comfort food and drinks. My husband and I had the scallops and lamb shank and both were absolutely amazing. The others in our party had salmon and they all loved it - it was cooked to perfection! The atmosphere was cozy with great views of the peaks.